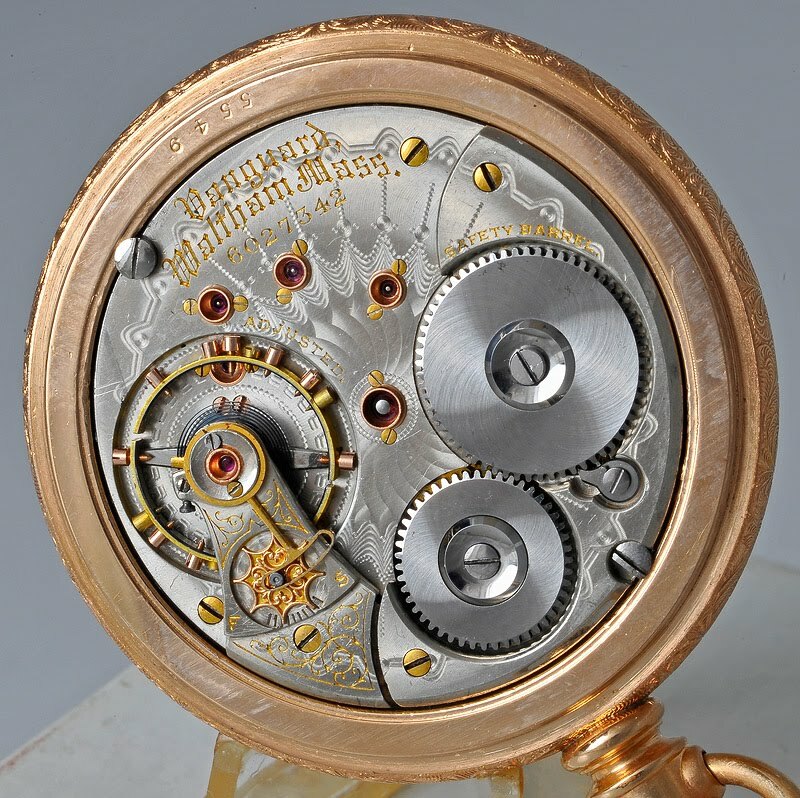 As previously stated, the Model 1892 was originally named the Vangaurd movement. 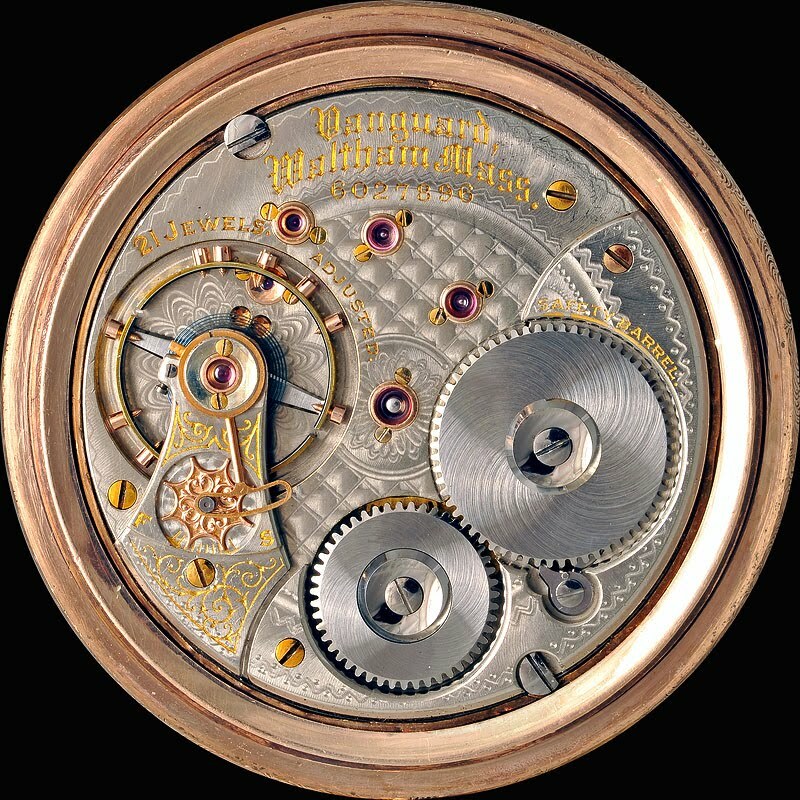 The Vanguard grade is made from the very beginning of Model 92 production (6026001) almost to the very end and the only grade made in 17, 19, 21 and 23 jewel movements. It is the highest grade of regular production watches made by Waltham. We will explore each separate jewel count and examine the different variations, some of which are anything but common. The photos below appear courtesy of John Cote. They are not only fabulous watches but excellent photos as well. Thanks John. Both watches are from the first run of open face Model 92 Vanguards, 6027001-6028000. Although listed in the Gray Book as 17 jewel movements, 21 jewel movements have been reported, as you can see below. Note the difference in damascening patterns. The pattern on the 21 Jewel movement is characteristic of later Vanguards. A few other patterns are known to exist among early Vanguards.